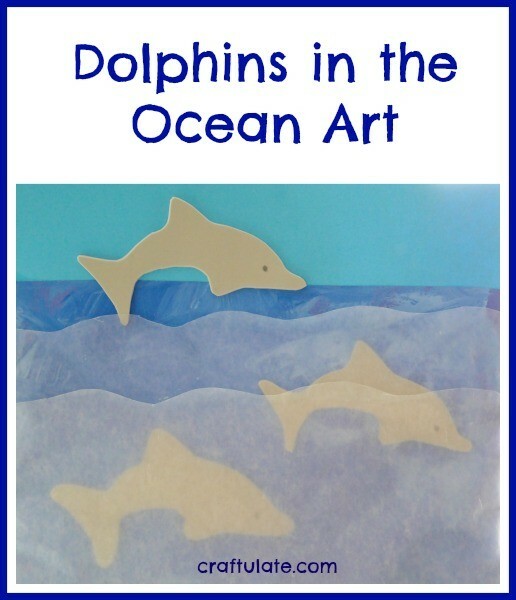 This ocean art for kids features three jumping dolphins and is made from paint, craft foam and wax paper. 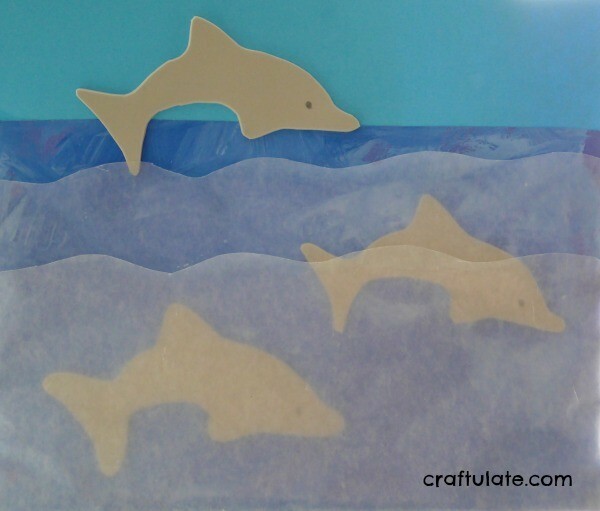 I love the different textures and layers in this fun ocean scene. It is really easy to adapt for different age groups, too. That’s quite a lot of materials! 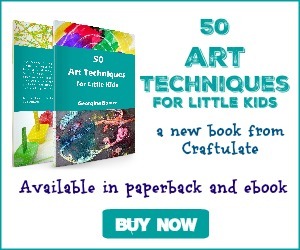 But this art is all about layers, and it is SO worth all the effort. 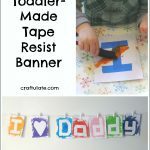 Start by asking your child to paint the blue construction paper. We used two shades of blue paint. When the paint has dried, trim off any unpainted edges and glue it to the blue card leaving an inch or two at the top to form the sky (try and make the card a lighter shade of blue if possible). Trim any edges. 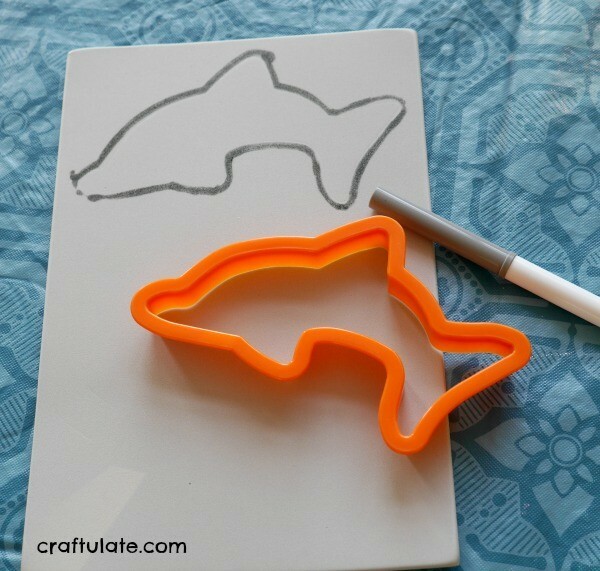 Trace the dolphin template onto the craft foam and cut it out. 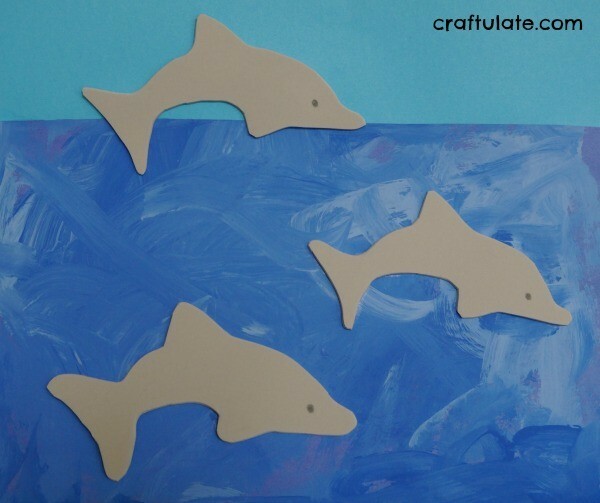 Depending on the size of the template you may be able to add several dolphins – we made three! Add an eye with the marker pen. Glue them onto the ocean background at different heights. 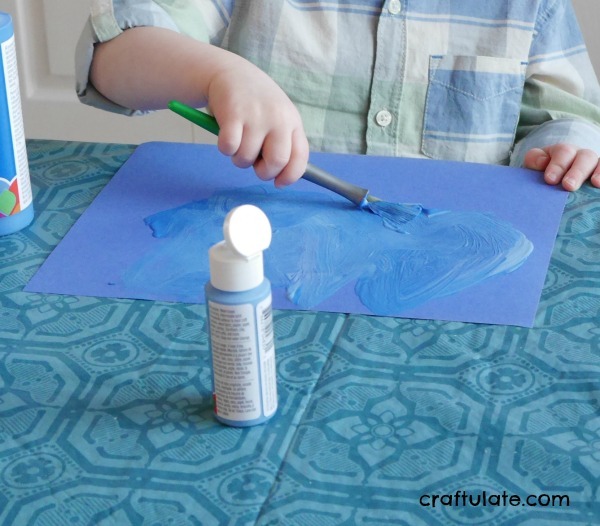 Cut a piece of wax paper so it covers the painted ocean except the top inch. Cut a wave at the top and tape the edges to the back of the artwork. 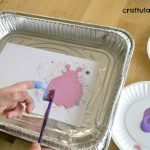 Add another layer of wax paper further down the ocean, over the top of the first piece. Again, tape the edges to the back. And the artwork is finished! I love this project! The layers and depth AND the ocean — we will definitely try this.